This gluten-free coconut cake with coconut frosting recipe is perfect for you if you are looking for a recipe with no flour and no sugar. This cake is much much healthier than any other cakes filled with lots of empty carbs. This gluten-free coconut cake with coconut frosting is very filling and nutritious. We use zero flour and use coconut butter instead of it. As a sweetener, you can use maple syrup or honey. You may wonder about the texture of this coconut butter cake. It is moist and not dry at all. Simply, perfect! 1 cup Organic Shredded Coconut. Preheat the oven to 350F. Prepare a baking pan with a diameter of 22 cm. Oil the baking pan or cover it with a parchment paper. Crack the eggs into a blender bowl. Add maple syrup or honey, softened coconut butter, coconut oil, and vanilla extract. Blend. Mix baking soda and apple cider vinegar in a small cup or a bigger spoon. Add the resulted foamy mixture into a blender bowl with the other ingredients. If you are using baking powder, skip this step and just add the baking powder with the rest of the ingredients into the blender bowl. Blend. Pour the batter into a prepared baking pan. Bake in a preheated oven for about 35-40 minutes. To know if the cake is baked through, get a toothpick and prick the middle of the cake. If the toothpick comes out dry, the cake is done baking. Make the coconut frosting by melting butter on low heat. Add the honey over the melted butter and slowly melt the honey too. When the honey is melted, take the mixture from heat and add shredded coconut. Mix well. Pour this frosting over the baked cake, but don’t spread yet. 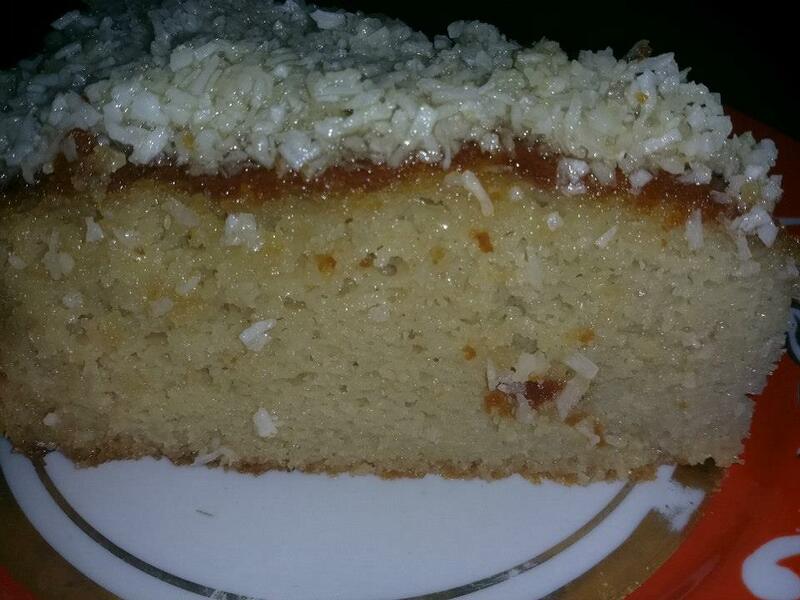 Spread the coconut frosting over the cake when the coconut cake cools down. You can use any nut butter as a substitute for coconut butter. You can substitute coconut oil with butter. If you add two mashed bananas into a cake batter, you will have a banana cake. How to improve Oxygen Levels in the body Naturally?